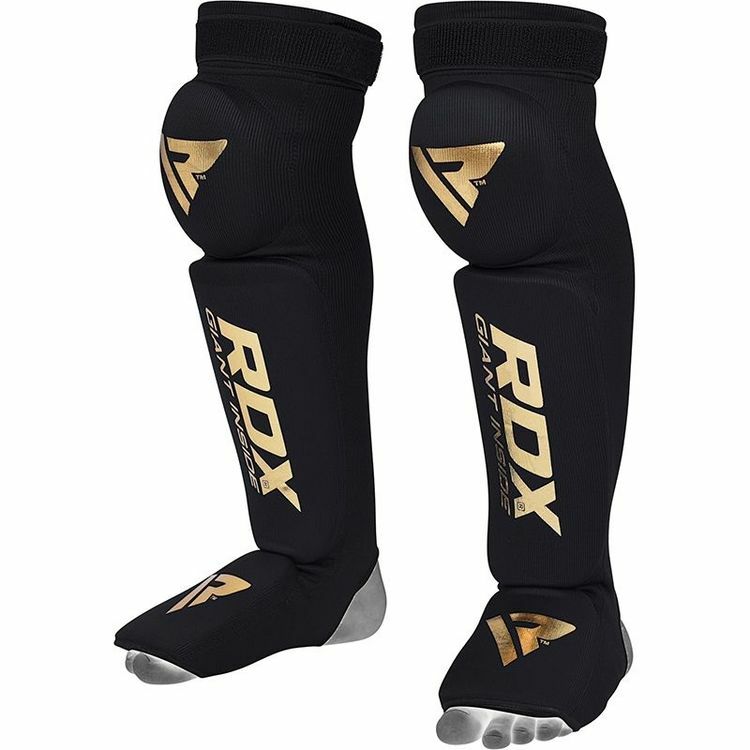 RDX Shin Instep Guard is always the right choice. Made from super lightweight woven carbon fibre fabric for resilience. 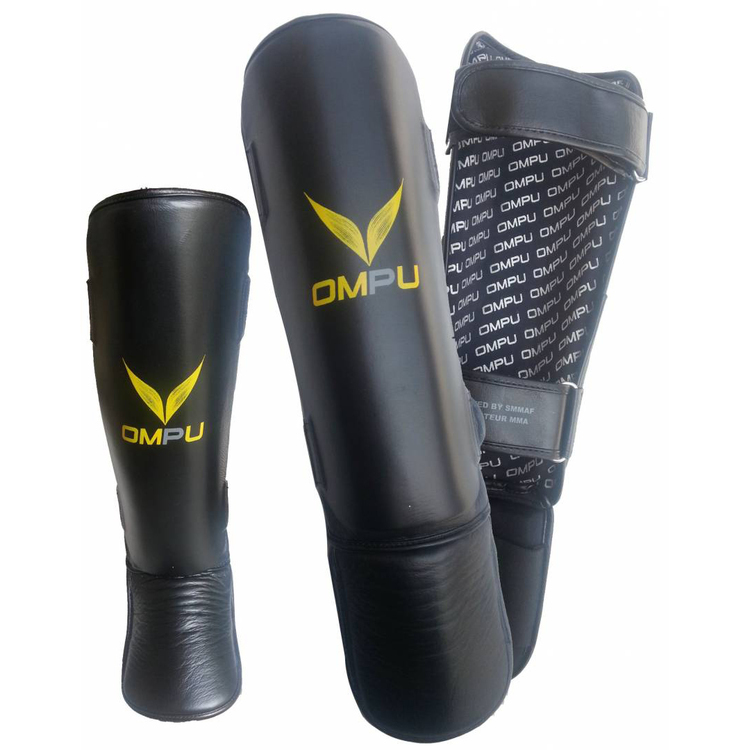 Our shin protectors are ideal for hard kickers who want to bring into play the right part of their shin when opting for banging in the hard blows. They offer an extra layer of EVA- padding on the front side of the shin. Added Supremo-Shock foam padding support perfectly assists the shin muscles to resist heavy force. EVA padding coupled by Supremo-Shock foam in the knee segment delivers comfort and shock-absorbency in the knee cap when defending or striking a blow. Shock dispersing EVA padding slab guards the shins against impact. 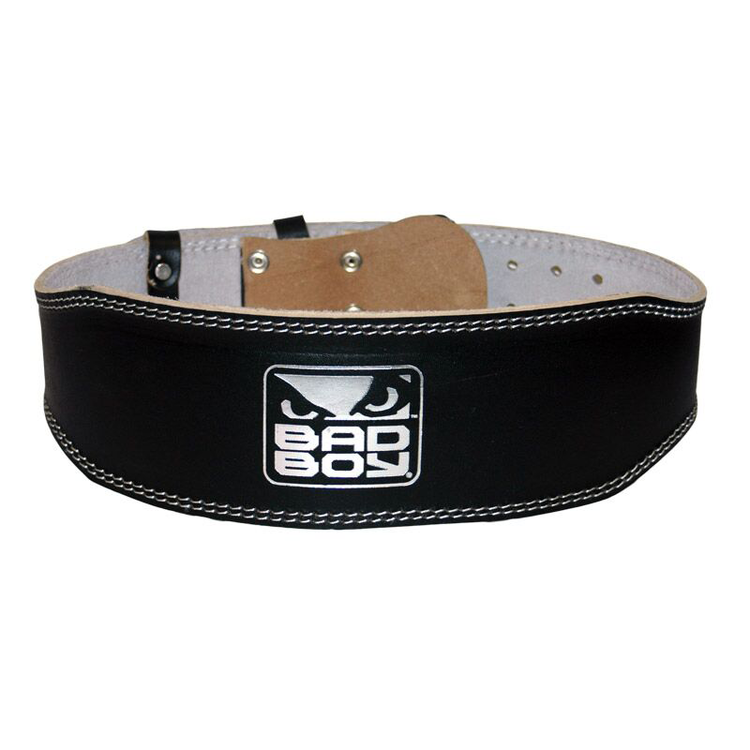 Perfect for Muay Thai kickboxing or MMA training sessions. 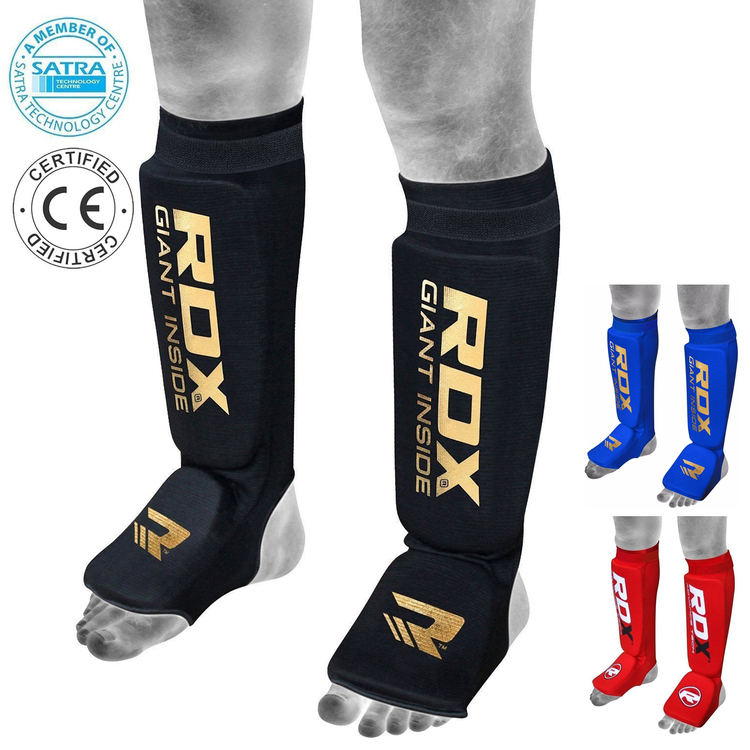 This shin guard offers a foot instep. 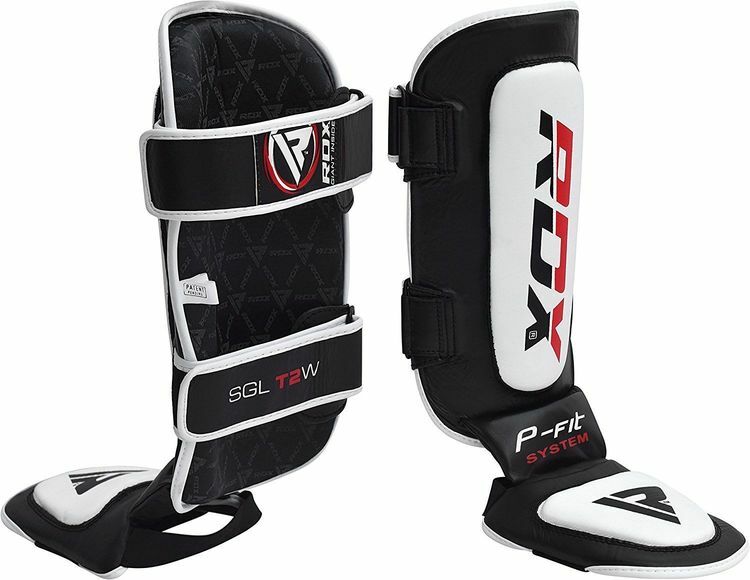 Simply put your foot through it and protect the entire leg in gladiator armor. Quick-Ez™ hook & loop easily straps on closure provides snug fit and maintains form.